When my boyfriend and I go to Crate and Barrel, it’s like two kids in a candy store…especially when we’re playing around with kitchen gadgets. Granted most gadgets on the market are kinda pointless, since they often have one useful job that can be done just as easily with something you probably already have in your kitchen…but here are some gadgets I came across that are not only fun, but practical. Okay, so maybe this isn’t practical, but come on! How cute is this?! 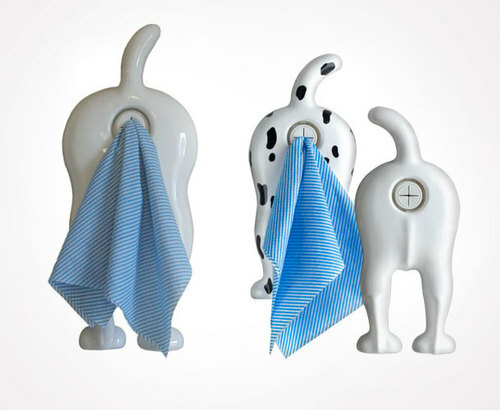 This doggie tushies hold towels in the kitchen or bathroom and are just innocent enough to not be gross. BUY! These are brilliant. 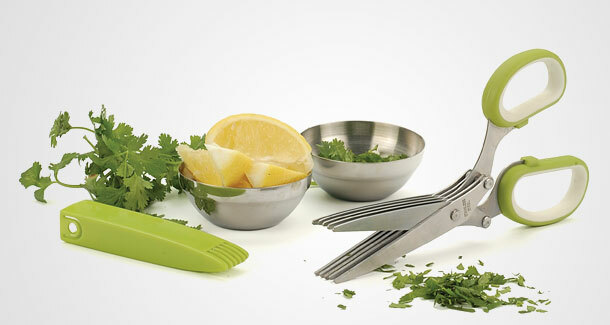 These 5-blade shears allow you to quickly and easily chop herbs and spices for cooking and garnishing. And with 5 sets of blades, your chopping is done quicker and looks professional. BUY! I love this cutting board! I often use the same board over and over if I’m cutting lots of fruits and veggies and stuff always gets in the way. 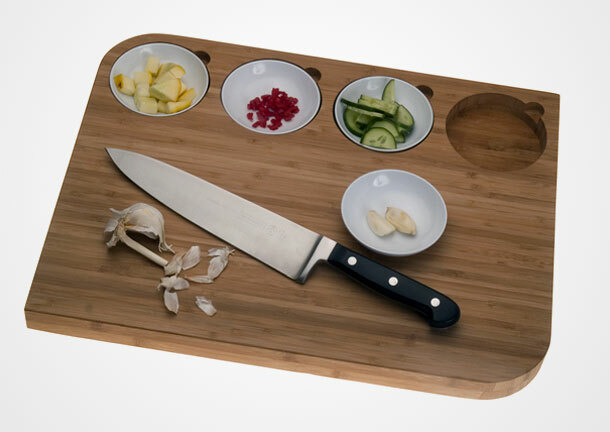 With this prep bowl board, you can chop onions, garlic, and more and easily set it aside so you can move on to the next thing. BUY! 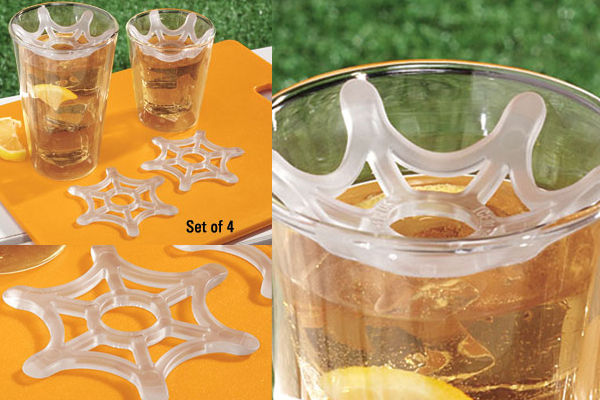 Nothing like a glass of freezing cold iced tea in the summer…and with these nifty spider webs, you can enjoy your cold beverage without having blocks of ice hit you in the face as you tip the glass. Keep your drink nice and cold till the very last sip. BUY! Here’s another “grate” gadget. This Grate n’ Store is a measuring bowl with 3 attachable grating lids, plus one solid lid for storage. Prevent messy cheese grating and ensure proper measurement with this fun little gadget. BUY! Knowledge is power! Learn fun facts, hints and tips, and creative ways to use every day items with “The Buzz” posts on Thursday.